According to the Maine Warden Service, 55-year-old Duane Carter, of Spencer Massachusetts was driving a snowmobile with a group on a portion of Swift Brook Road in Penobscot County when he and another rider did not properly turn. 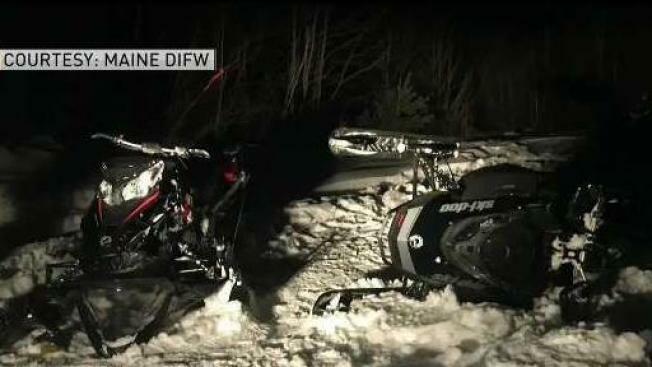 Officials say a Massachusetts man who was critically injured in a snowmobile crash has died. The Maine Warden Service said Monday that 55-year-old Duane Carter, of Spencer, Massachusetts, died at Northern Light Eastern Maine Medical Center in Bangor, becoming the seventh snowmobile fatality of the season in the state. Wardens say Carter was thrown from his machine when he and a friend on another snowmobile failed to make a turn and collided near Stacyville. Both were taken Friday night to a Millinocket hospital. The Maine Warden Service continues to urge riders to slow down. Wardens say the leading contributing factor in fatal crashes is excessive speed.